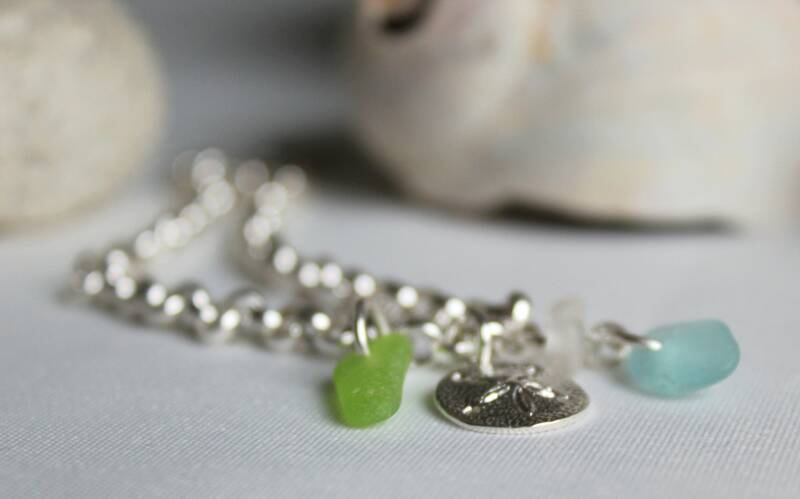 Our Little Sand Dollar beach glass bracelet is ready to accompany you on all of your summer adventures! 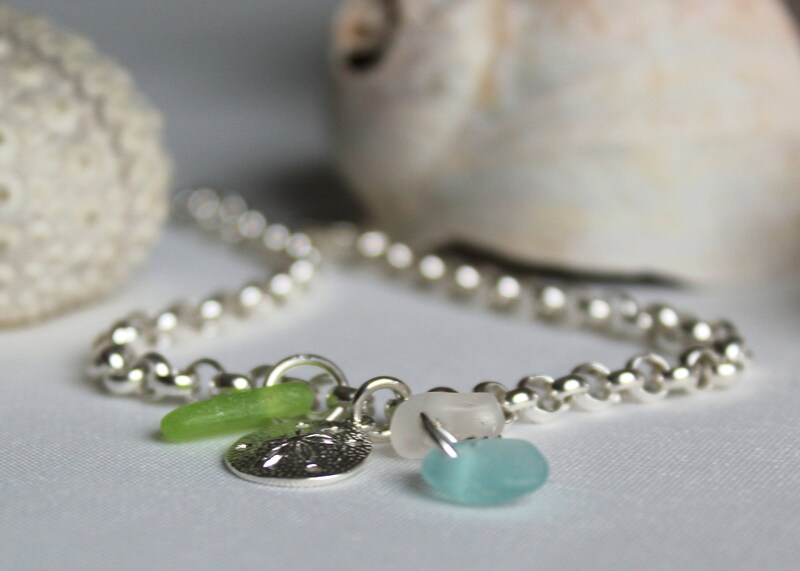 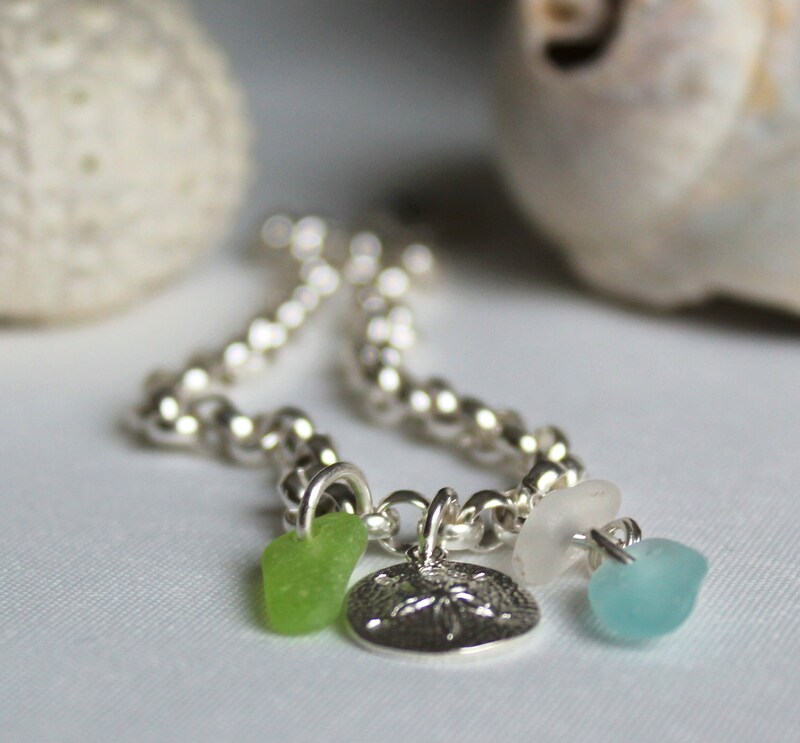 Hand crafted in Nova Scotia in sterling silver, the bracelet is adorned with a little sand dollar and three tiny drops of natural beach glass in aqua, lime green and white for a pop of beachy colour. 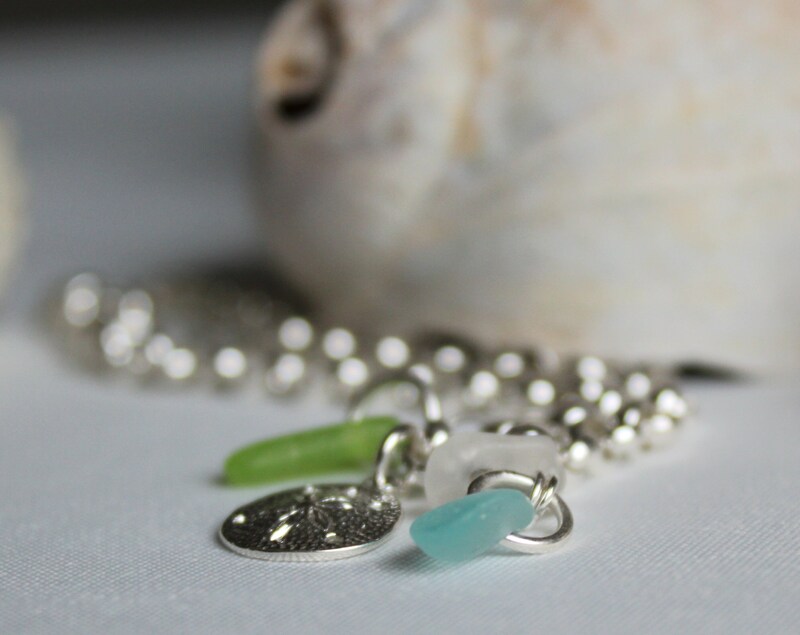 The bracelet is 8 1/2″ in length with the option to close in any link for your perfect fit. 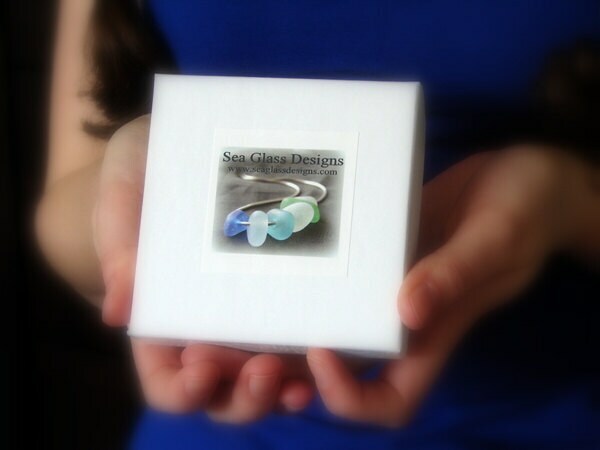 Our sea glass jewelry will arrive boxed, with the Sea Glass Story on the inside lid, ready for gift giving. 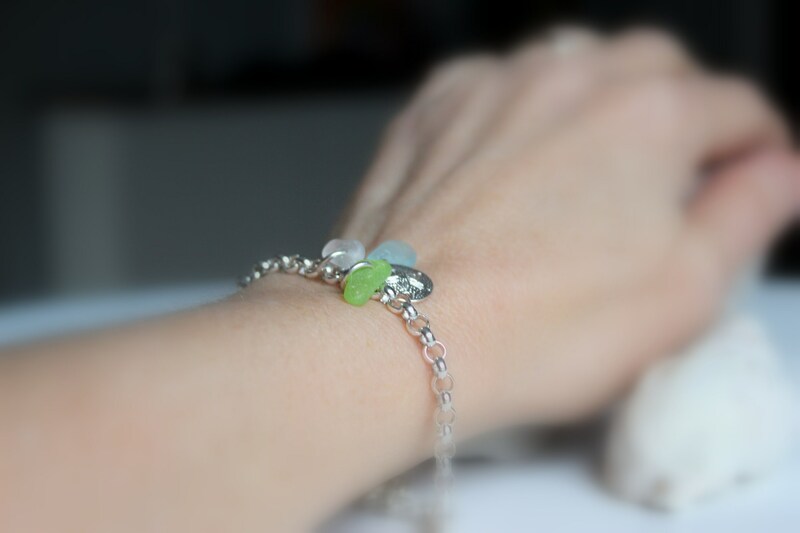 You will also receive a silver polishing cloth to keep your bracelet looking new. 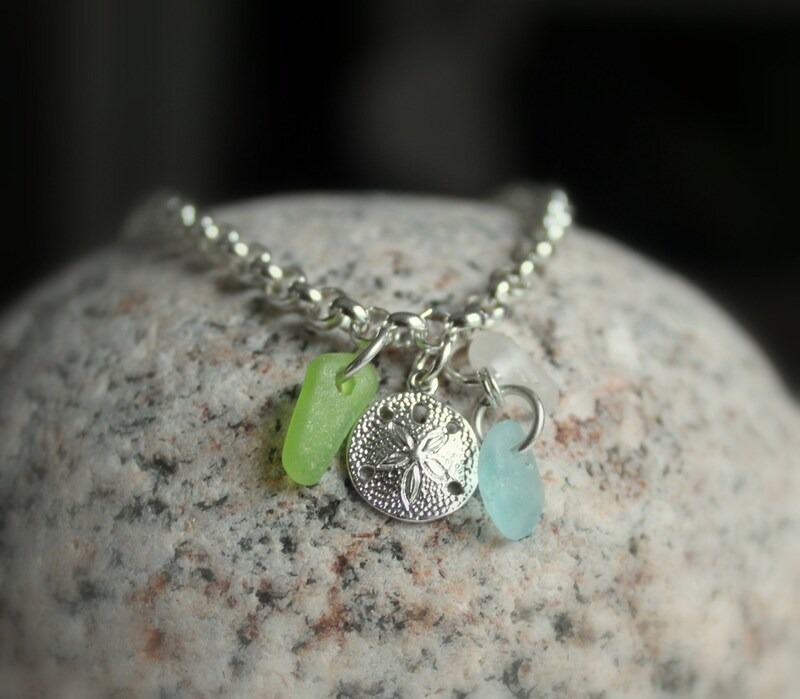 ~ Sea glass colours in this design are aqua, lime green and white. 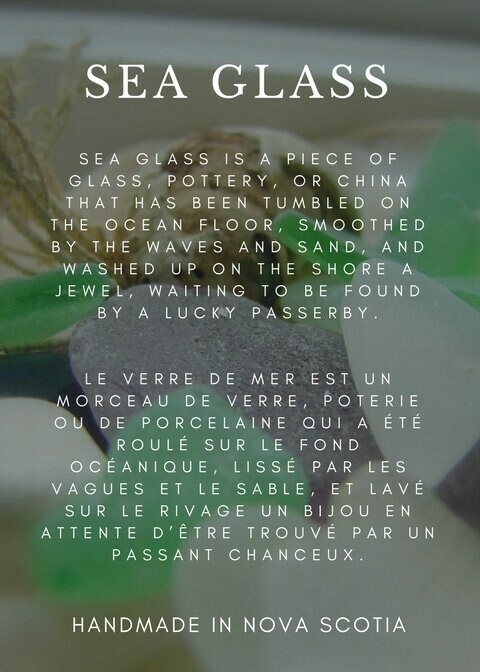 Please note that the sea glass in your bracelet will be the same colour and size as shown, but the shape may differ slightly due to the nature of sea glass. 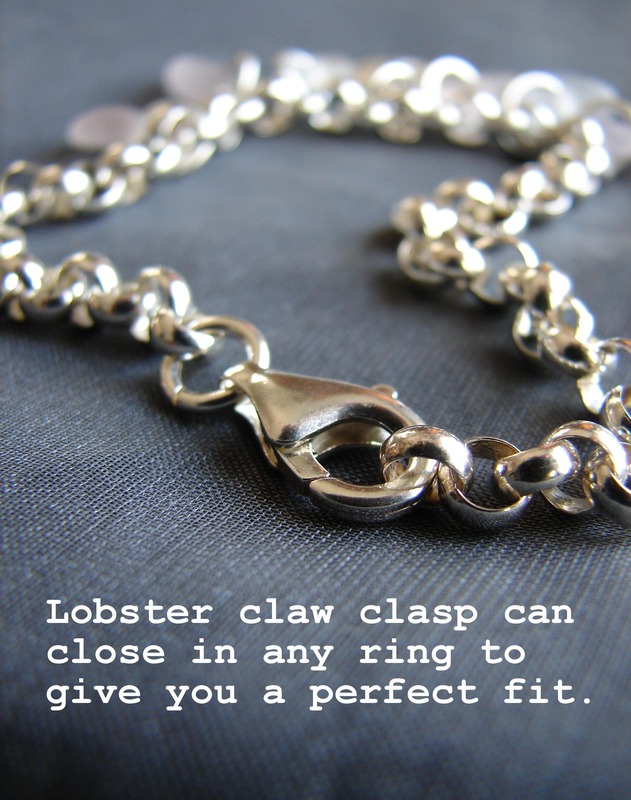 ~ The bracelet measures 8 1/2 inches in length and the lobster claw clasp may be closed in any link for your perfect fit- see 4th photo. 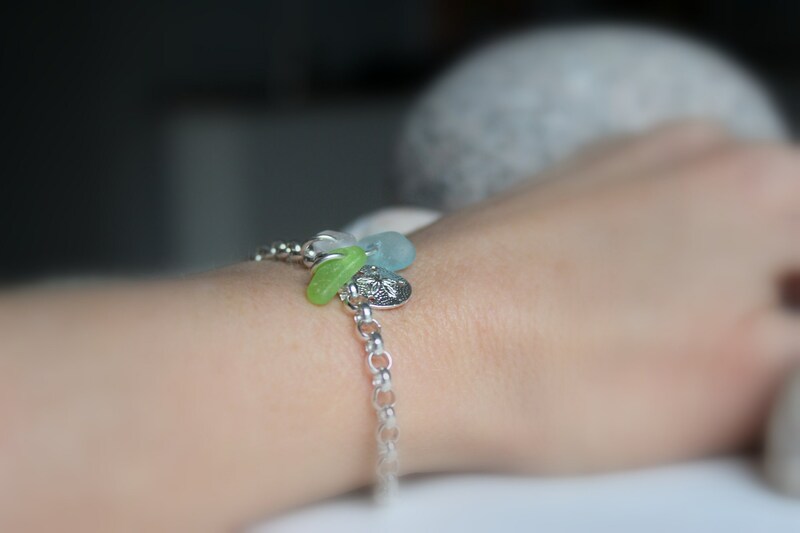 if you'd like your bracelet shortened or lengthened, just let me know in the note to seller box at checkout.